Excavating services in NSW and junk removal in NSW are becoming of higher demand with every passing month, its important to find a contractor you can trust and rely on. New buildings are being built faster then ever before and with limited space some buildings need to be demolished. Being the largest and most densely populated city in the state NSW is constantly being expanded. Talia Earth Moving Pty. 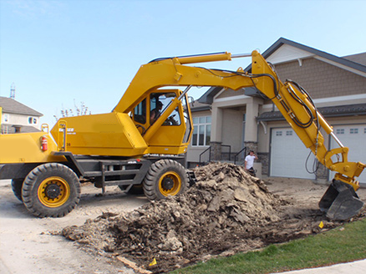 Ltd. not only provides excellent excavation services in NSW but in addition to that we also provide fast waste removal services. We like to always go beyond what the customer expects, delivering high quality results in a short amount of time.